During the co-main event of UFC Fight Night 85, referee Steve Perceval received heavy criticism for not stopping the fight in both the first and second rounds. Even though the second round was more controversial than the first, a case could have been made for a first-round stoppage since Hector Lombard dropped his opponent Neil Magny and spent the majority of the first round landing heavy shots. 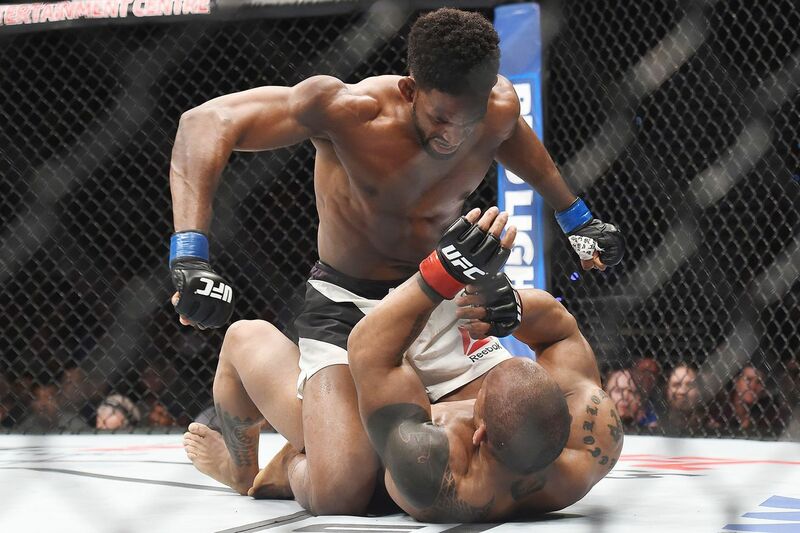 However, Perceval’s capacity to referee a fight went under heavy scrutiny after Magny achieved back mount on Lombard and delivered more than 100 unanswered strikes in the second round of the fight. Although many, including Magny, criticized referee Perceval’s decision to let the fight go on to the third round, Lombard’s teammate and friend Jorge Masvidal thinks differently. “I think he was just trying to be fair ’cause he let Magny go so long. But I mean, Hector didn’t quit and I think, I’m not sure, maybe I’m making this up in my head, but it looked like Hector was throwing his thumbs up and he was talking to [Perceval],” Masvidal told Ariel Helwani during Monday’s edition of The MMA Hour. Masvidal believes Lombard’s defeat was a combination of ring rust and fatigue. Lombard hadn’t competed since January 2015 after receiving a one-year suspension for testing positive for anabolic steroids.